On a quest for Linux VPS hosting? 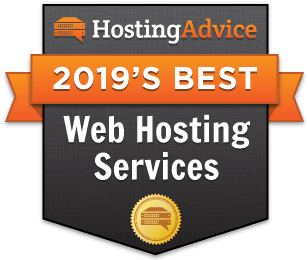 After comparing the best Linux VPS plans, we recommend you choose a server and a hosting provider based on uptime rates, choice of operating system, allotted storage space, and the reputation of the host — which you can gauge based on our experts' ratings. See the following summary table to get a glimpse of the best Linux VPS reviews and our findings. Looking for something other than linux vps hosting? Looking for the TLDR on Linux VPS hosting? We hit the highlights of Linux-based server rentals below. Security, stability, the support of an extensive developer community — the list of Linux pros goes on and on for many hosting shoppers. The popular operating system has become such a pull factor for customers that most of the top hosts broadcast features like CentOS, operating system patches, and Linux-friendly software as mainstays of their packages. As someone who just searched “best Linux VPS” or the like, you’re left with a laundry list of options and bullet points to root through. Here we walk you through our methodology for evaluating the esteemed Linux hosts above, so you can make an informed decision for your upcoming project. Let’s hash out the gory details of Linux server hosting. We’ll unveil the features we look for, the hosts who deliver them best, and how the top offerings compare to those of competitors. A VPS host is only as good as their hardware is performant. We look into the RAM, the hard disk specs, and storage allowances in each of the VPS hosting plans we review. Ringleaders tout free SSDs that boost your server with added speed, and Liquid Web has RAID-protected SSDs available for free within their VPS hosting packages. If you’re searching “Linux VPS web hosting,” software is obviously important to you. The hosts we hold in highest regard in this niche offer business-class software to support their world-class hardware. For starters, you might find enterprise-class CentOS 6 with InMotion, but then you should also look for other Linux-friendly applications and scripts compatible with the hosting plan. With hosts like Bluehost or JustHost, the Apache web server comes standard, and iPage pre-installs popular programming scripts for you. Since reliability and performance are cornerstones of a quality VPS hosting experience, security and network monitoring features are crucial to Linux VPS shoppers. Customers expect round-the-clock server monitoring as a minimum. Free Linux OS security patches come standard with InMotion. Most hosts offer beefed up security for managed VPS hosting customers, but Liquid Web’s Heroic Support™ team goes the extra mile for their VPS users. Built-in backups are included with Liquid Web plans, along with enhanced security for your server. We can’t drive this point home enough: Uptime, uptime, uptime! It matters! To break it down, a 99.9% uptime guarantee is an industry norm, but, frankly, isn’t up to snuff for most of our VPS or dedicated hosting shoppers. Hosts who guarantee five nines (99.999%) or better are significantly more worth your time and money. Hosts like InMotion or Bluehost are good for an excellent-but-not-stupendous uptime rate of 99.99%, and — hold onto your socks — Liquid Web promises 100% uptime. As a company, they experienced 99.995% uptime in 2014. Customer support can be the most frustrating factor of a hosting experience. It’s a feature that distinguishes the good hosts from the great across hosting niches. Last, but most certainly not least, we have to look at the overall value of a Linux VPS hosting package. The quality and quantity of features offset by the pricing determines a host’s worth to a potential customer. Whether you want managed services, a WordPress plan, or just a virtual machine with CentOS installed, InMotion leads in high-value VPS hosting. Of course, this list is not comprehensive. The leading web hosts for Linux fans tout these standard features and a host of others to streamline your Linux hosting experience. Buyer beware: As with any service you find online, free Linux VPS hosting options are advertised, but you’ll be sadly disappointed by the limited RAM, lackluster, or nonexistent, support, and limited customization options. You’re much better off opting for a quality, low-cost VPS provider like InMotion for your affordable Linux hosting needs. Premier Linux hosting services abound with the top hosts listed above — and now you understand our reasoning for thinking so highly of them. With instant server provisioning and daily billing from the expert-recommended providers, you can have a fully functional Linux project up and running in virtually no time at all. The question remains: Which Linux VPS tops your charts? If you’re realizing you’re not quite ready for a virtual private server, no worries. Hop on over to our Linux shared hosting reviews, and go from there. Happy hosting!